The government has mandated that 2018 is the Year of Engineering, but will it fix Britain's well-publicised engineering-skills shortfall and what contribution can the motorsport industry make? The doomsday bells aren't ringing yet, but British engineering could be facing some tough times ahead. That statement may seem improbable given that the government only recently identified engineering as a priority in its Industrial Strategy, announcing in November that it will increase investment in R&D from 1.7% to 2.4% of GDP by 2027, create an independent Industrial Strategy Council and invest a further £725 million into the Industrial Strategy Challenge Fund - but the elephant in the room can be ignored no longer. Genuine concerns abound that the needs of the sector may not be met in future due to an estimated shortfall of 20,000 graduates per year, which is not a problem that will be solved overnight. According to the Engineering UK 2017 report, 265,000 skilled workers will be required annually until 2024 to meet the demand of engineering enterprises, so it should come as little surprise that the same report stated that 69% of businesses are not confident of finding the high-skilled employees they require. Technical innovation has always had a home in the UK, with seven of the 10 Formula 1 teams based in the so-called 'Motorsport Valley' around Oxfordshire and Northamptonshire, but the motorsport industry cannot assume it is exempt from the concerns of the sector at large. Unless fundamental changes are made in the way engineering and technical roles are perceived by younger generations, the knock-on effect could potentially impact Britain's place as a world leader in the development of performance technology that is directly relevant to the standing of UK motorsport. "Engineering in the supply chain of motorsport is critical, be it aerodynamics, IT, data capture or simulation," says Chris Aylett, CEO of the Motorsport Industry Association. "Motorsport is in all of those and it will be affected - and is affected - by the difficulty in finding people who are suitably qualified." 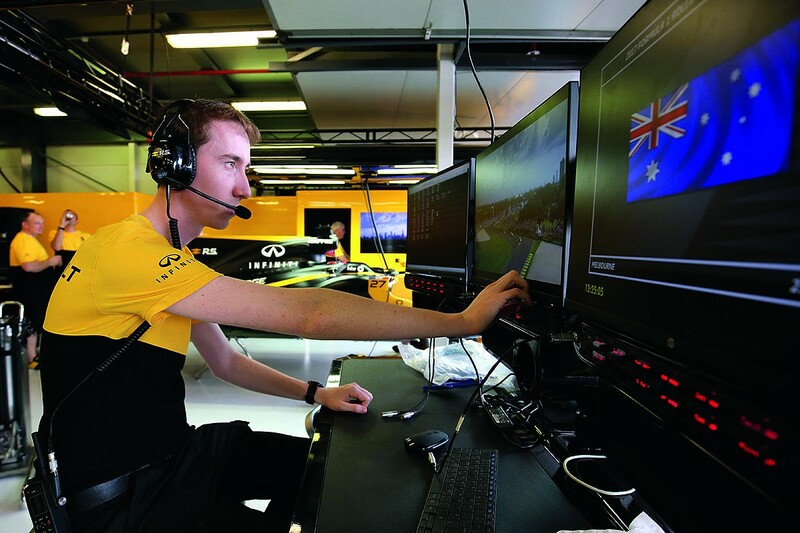 "This is a mechanical-engineering sport where hands-on people are absolutely essential, not just out in the paddock, on the pitwall or in the garages, but right across the industry. "We're not going to be immune to the difficulty [in finding people] and we're not currently immune to it. It is the single largest issue that continually comes up in every MIA business survey that we run each year - the thing that depresses future growth most is the lack of skilled employees." Given the reality of an ageing population, which is a contributing factor to the UK being less productive than other developed nations including the US, Germany and Italy, change needs to start sooner rather than later - and that's even before considering the implications of Brexit and the well-publicised diversity problem, with women making up less than one in eight of the engineering workforce. Engineering UK's report made two main suggestions, based on promoting the role and contribution of engineering to the UK, while also improving the supply of engineers through emphasis on diversity and encouraging students to pursue science, technology, engineering and maths (STEM) subjects in schools. The Year of Engineering is one step towards making those recommendations a reality. Targeted at students aged seven to 16 and their parents and teachers, the government-led initiative was launched to improve the perception of engineering and engineers through "inspiring experiences of modern engineering" that will encourage young people to consider pursuing a career in the industry. The fruits of such a scheme are obvious if successful, but how would it work? In essence, the Year of Engineering represents the union of industry and the government - Stephen Metcalfe MP, a former chairman of the Science and Technology Select Committee, is confirmed as the government's official envoy - to increase the visibility of engineering by placing a spotlight on projects directed at young people and encouraging more within industry to follow suit. There are numerous projects of varying scale across the UK that hope to benefit. These range from the Big Bang Young Scientists & Engineers Fair - the UK's largest STEM-focused event combining theatre shows, interactive workshops and exhibits - to nationwide competitions such the Technology, Design and Innovation (TDI) Challenge for D&T students aged 14 to 19 and efforts to engage young people at a regional level, such as the Worcester Skills Show based on the site of the historic hillclimb event at Chateau Impney. 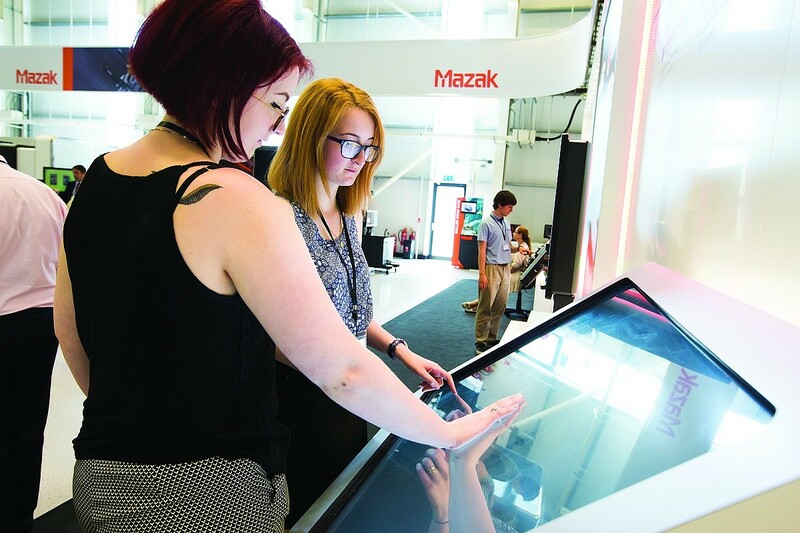 Machine-tool maker Mazak, a partner of McLaren since 1999, is among those showcasing at Worcester, and non-executive director Marcus Burton believes improved visibility will be invaluable to the success of such programmes. "The important thing is to get national recognition of all the efforts that are already going on and see if we can get a kind of cumulative effect of all the efforts under this brand name," says Burton. "Anything that raises the awareness and image of engineering across the country has got to be welcomed." The Year of Engineering will also aim to harness the expertise of STEM Ambassadors, a 30,000-strong network of volunteers made up of graduates, apprentices and university lecturers who share their experiences with students in schools and colleges across the UK. 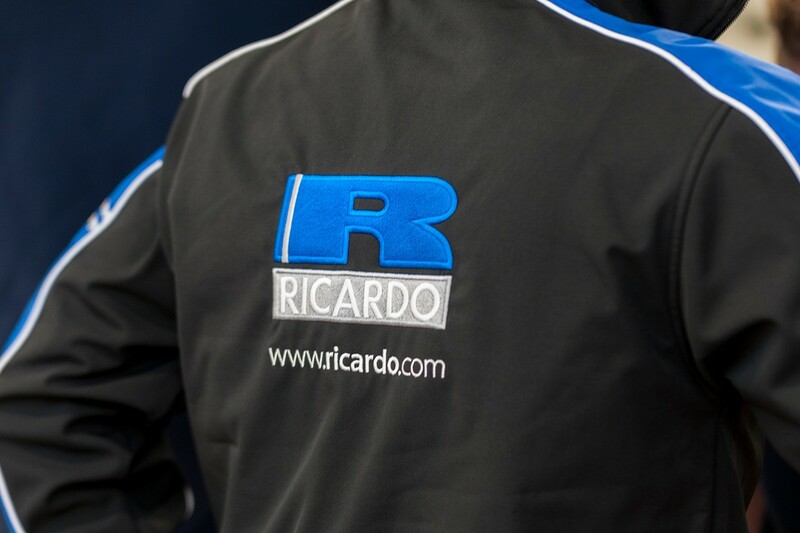 At drivetrain expert Ricardo, all graduates joining the company are qualified STEM Ambassadors and are required to support at least two STEM activities per year to meet their objectives, a personal development strategy that's increasingly common among some of the larger engineering enterprises. Susie Wolff's Dare To Be Different initiative to inspire the next generation of female talent in motorsport is just one of the many to have benefited from the input of STEM Ambassadors, with female role models from different sectors in industry giving girls aged eight to 14 a solid grounding in STEM-based tasks at its activity days. The belief that young people can offer little to engineering companies is deep-rooted, but ultimately shortsighted and must change for the industry to remain competitive. 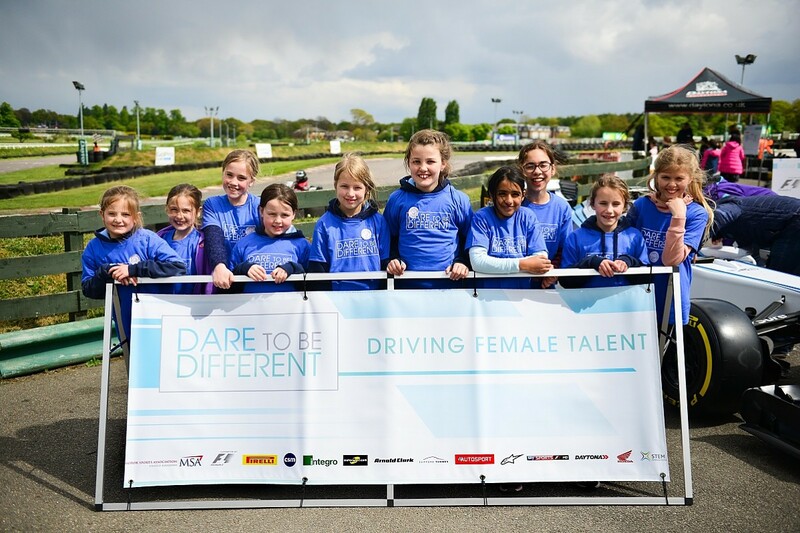 "Dare to be Different's agenda is to try to get more young girls thinking about the motorsport industry as a destination for them in terms of a career, not just driving a car but more importantly being an engineer helping to develop and design cars," says STEM Learning's regional network lead for London and the South East, Dr Ajay Sharman. 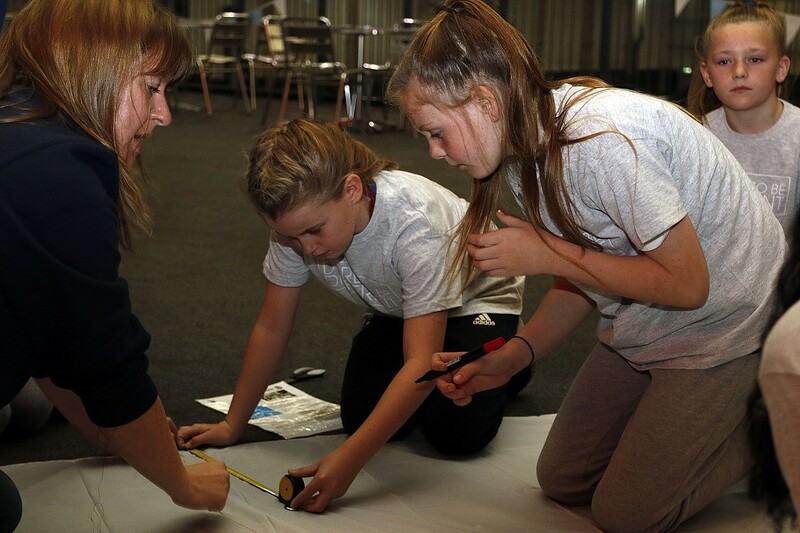 "The motoring industry does suffer hugely from having a diversity agenda, so Dare to be Different and STEM Learning came together to try to encourage some of the engineers and role models to come and support them. "It's really important that young people meet with a good range of people from different backgrounds and from different aspects of engineering because they bring real-life industry into context and enrich young people's knowledge in all kinds of ways." To capture the imagination of young minds and be more than just a grand title, the Year of Engineering will require support from industry, and a shift in attitudes to boot. The Institution of Engineering and Technology's 2017 Skills and Demand in Industry survey reports that 75% of employers believe tackling the skills problem will be essential for the government's plans to be realised, but only 21% said they would be willing to get involved or become more involved with taking proactive measures to improve the supply of skilled workers. More concerning is that only 17% of employers currently attend careers events or organise school visits to encourage young people to consider a career in engineering. Laura Pickering, education and development coordinator for the Manufacturing Technologies Association, hopes the increased visibility for projects such as the TDI Challenge resulting from the Year of Engineering will help bring about a shift in philosophy, and is working to encourage MTA members to engage in STEM activities. "What I'd really like to do is to encourage industry to engage with schools and colleges a lot more," says Pickering, "whether that's holding open days for them to come in, or the variety of work-experience programmes they can do such as Industrial Cadets, which is like a Duke of Edinburgh Award for the engineering and manufacturing industry." Motorsport has a key role to play here too. 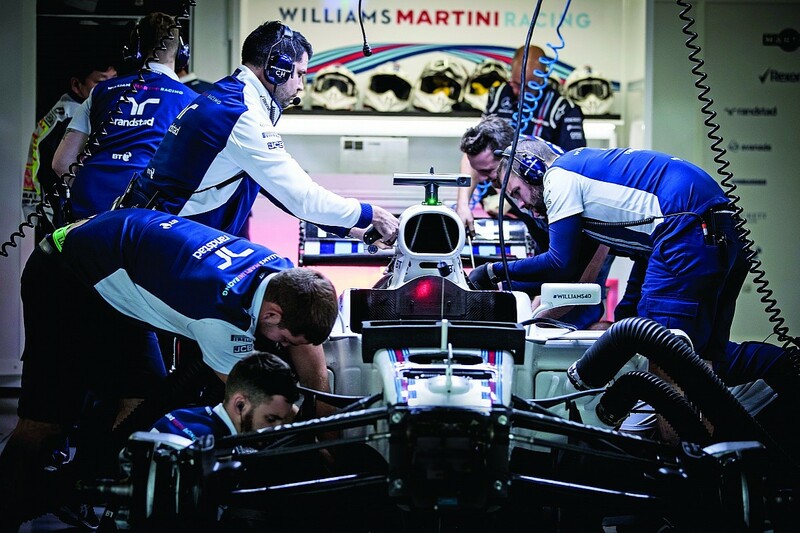 Formula 1 teams are gradually beginning to recognise the worth of apprenticeships, and high-profile prizes such as the Autosport Williams Engineer of the Future Award, won last year by Bath University student Martins Zalmans, show that the sector is actively engaging with young talent. But Aylett believes that motorsport remains an underused resource for showcasing engineering to young people and wants to see more initiatives like Greenpower - a challenge for students to design, build and race their own electric racing car, which is featured in Year of Engineering promotional videos - launched in the UK. 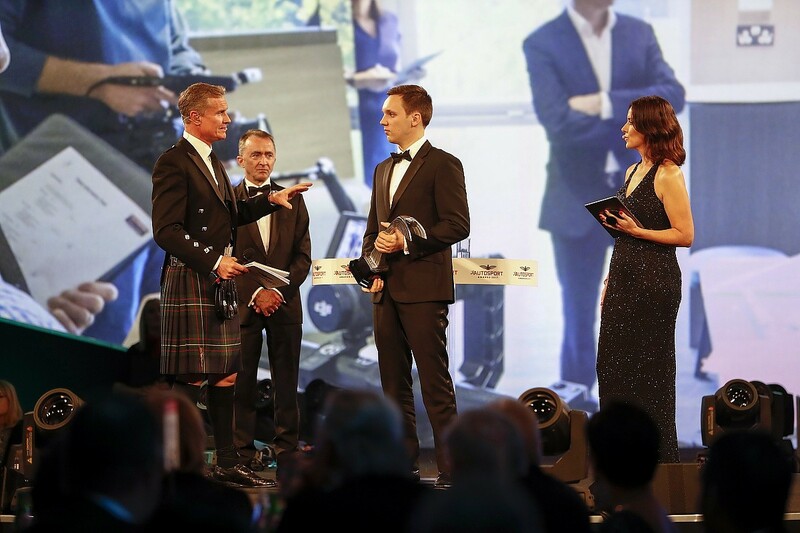 "That indicates the role we can play - undoubtedly one of the most stimulating and exciting sectors of engineering in that age group, from 12 to 15, is motorsport, in all its forms," he says. "Motorsport can be used to demonstrate what fun engineering can be. We're not British Aerospace or Airbus, we are a bunch of relatively small companies, but collectively we have this fabulous brand for young people." Aylett confirmed that the MIA plans to become an official partner of the Year of Engineering and says the organisation is "100% supportive" of its intent to mobilise industry. "There's no question that heightening the awareness of this genuine shortage of 20,000 engineers on a national scale will help motorsport in simply raising the level of interest," he says. "We want to engage in the campaign and will encourage our members to do so individually, as well as collectively." Collaboration will be key to bringing this vision to life, and the Year of Engineering presents opportunities for motorsport companies to partner with major OEMs (original equipment manufacturers) in different sectors of industry, whether through existing links with automotive companies or forging new links with marine, military and aerospace firms. "All engineering-based sectors are very well aware of the shortage of engineers and every sector is trying to push engineering as a professional career, so the next step on that journey is for the sectors to join up more," agrees Ricardo director of powertrain systems and McLaren programmes Jason March. "Motorsport has a really good opportunity with its links to the automotive industry to support the push in a more joined-up way, especially as we've seen more OEMs coming into motorsport. Having more of a cross-sector perspective is going to be very important - the more publicity and the more we get everyone working on it together, the better." If all elements combine to successfully raise the profile of engineering, it will be equally important to capitalise on this by improving the public perception of modern engineering and what engineers do. Today, advanced automation means engineering is more integrated than ever, allowing students to be exposed to the full breadth of industry from electrical to civil and mechanical engineering. "We're trying to dispel these myths, more than anything, that it's not just about dirty, oily rags," says Sharman. "For example, most cars today have more technology and software engineering in place than I've ever known before in my life." It's not just young people who need to be convinced, but their parents and teachers too. "The skills shortage in engineering is partly a throwback to the image of engineering going through those changes that happened in the 1980s, where a lot of manufacturing closed down or was outsourced," says Burton. "Today's generation of parents and grandparents still have a rather old-fashioned and outdated view of engineering." STEM Learning is acutely aware of this and wants to extend the campaign further to parents and teachers, with a view to improving the careers advice students receive before selecting their GCSE options. "Parents are some of the biggest influencers for young people and we don't do enough with them," says Sharman. "Part of the campaign should be about getting the messages out to a much wider audience, not just schools, not just to young people, but to parents and influencers as well." Although question marks remain over some of the finer details of the initiative, hopes are high that the Year of Engineering can make a tangible difference in increasing awareness of the highly skilled careers that are available within engineering, as well as tackling the skills gap by promoting STEM. "The key thing is getting people to be interested in the STEM subjects and to leave all their doors open through their education so they can pursue engineering careers later on," concludes Burton. "We've got to start young."